Modern sectional designs have a simple layout that allows you to use in combination with other styles. 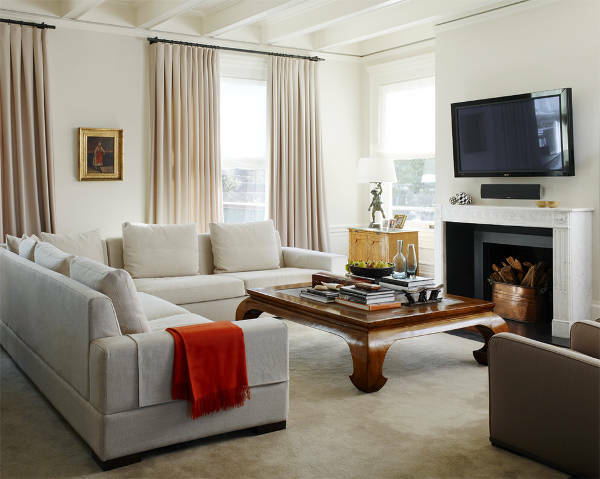 You can choose a sectional sofa in neutral colors in order to style with multicolored pillows and throw blankets for extra style and personality. You can keep the coffee table in simple design. 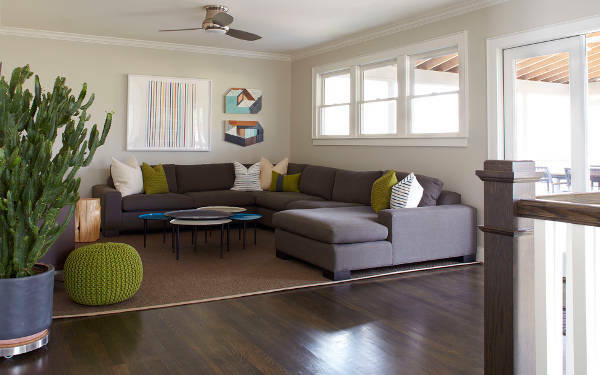 Small sectional sofas have a cute design that makes them perfect for smaller rooms. 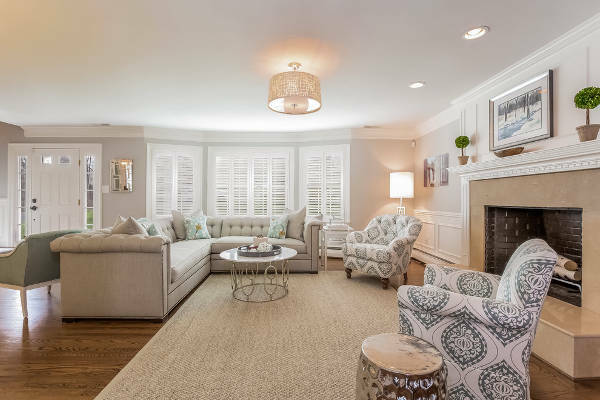 You can create the most adorable setting with a sectional sofa in smaller dimensions, while you can style with cute pillows in vibrant patterns and matching color combinations. Complete the look with a matching ottoman. Curved sofas have a soft look that is suitable for large rooms. You can place them facing your fireplace in order to create a warm spot for entertaining your guests or you can place it in a corner in order to soften up the orthogonal shape of the room. Sectional sofas look amazing no matter where you place them. For outdoor spaces you need to choose a design with weather resistant properties in order to ensure that it will remain in great condition for years. Choose a style with comfortable cushions that have excellent back support. U shaped sofas have a cozy design that creates a cozy ambience. You can find incredible U shaped designs available in many styles and materials bringing various textures and color combinations. You can choose a matching ottoman in the same color scheme or you can have a contrasting one. Contemporary designs follow an elegant approach in the way you can style your space while introducing innovative shapes and lines. You can find a multitude of designs for contemporary sectional sofas to create an amazing setting for your living room. You can style them with a designer rug for effect. 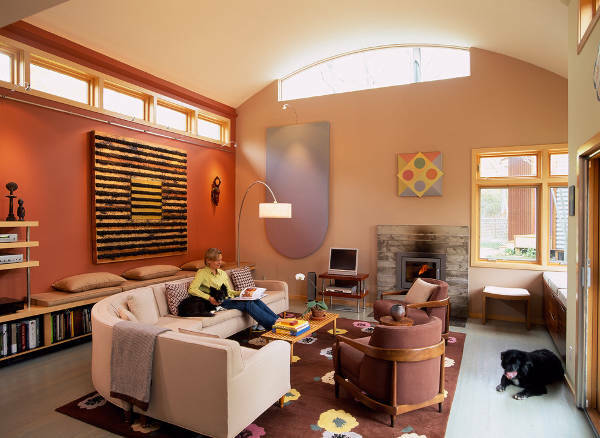 A round design can break the orthogonal pattern of a sectional design making your sofa look complex. You can find round sectional sofas in many color combinations and in a variety of materials to choose for your living room. 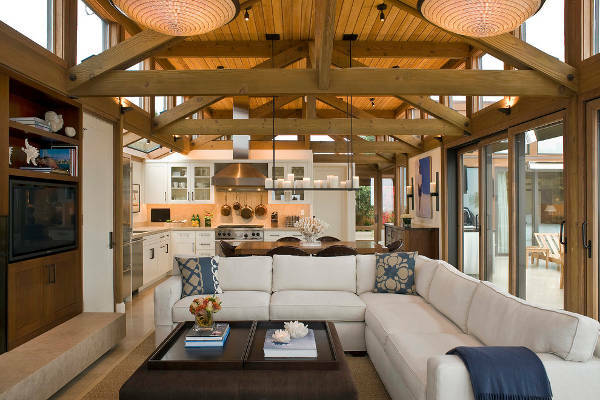 These designs are suitable for large spaces to avoid overwhelming rooms. 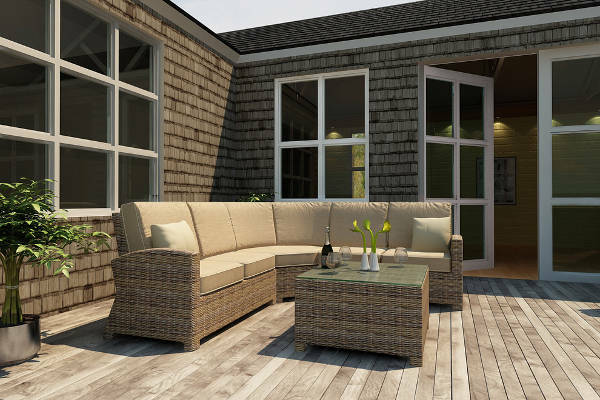 You can choose a patio sectional sofa in rustic style incorporating a combination of hard wood with soft pillows. For indoors designs you can choose a wooden one with a softer design or you can go for a leather design that will make the space look raw and stylish. Traditional designs have a soft elegance that can transform every room. From your formal living room to your everyday living space you can find amazing designs for traditional sectional sofas. You will find them in many color combinations and with incredible details that will enhance the room’s style. Choose a smart design of a sectional sofa for your apartment. Extra storage space is always desirable so you can choose a sectional sofa with hidden compartment. Alternately you can choose a sofa design that can be turned into a fully functional bed. Suitable for all apartment styles. 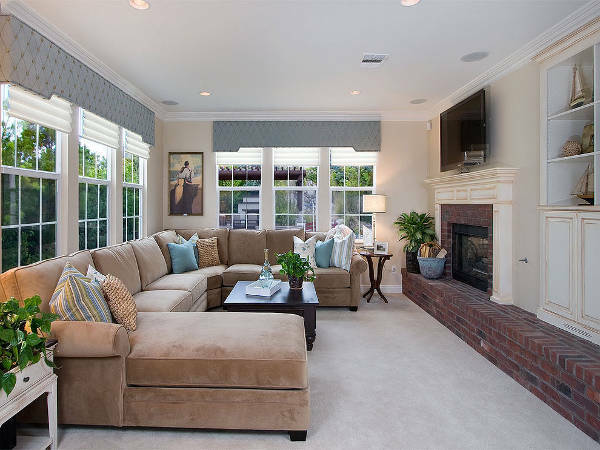 Corner sofas are comfortable and in most cases provide more seating spots. Suitable for entertaining large groups of people at once while offering comfortable and stylish sofa. You can style these designs with pillows and throw blankets for a homey look. Orthogonal coffee tables are excellent choices completing the room. L shaped sofas have provide an asymmetric look for your living room allowing you to add armchairs. They are similar to corner sofas and they can be completed with ottomans and coffee tables. You can find amazing designs in many color combinations and materials to choose from. 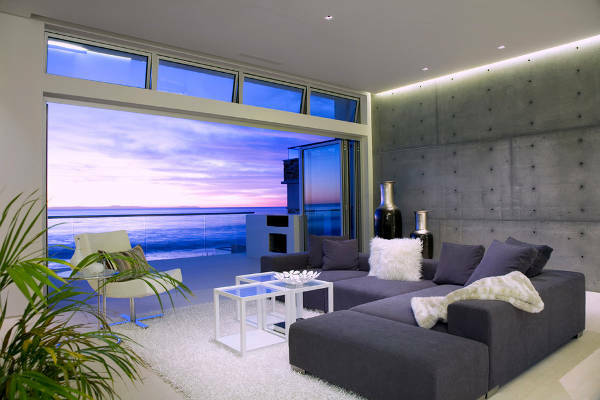 Tufted designs are elegant providing a luxurious look for your space. You can find tufted sectional sofas in a great variety of materials, styles and color combinations for you to choose from. These are suitable for every style ranging from traditional to modern bringing you glamorous living room designs. 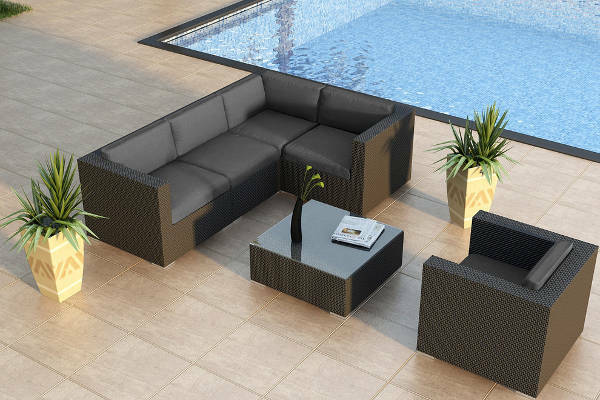 Sectional sofa designs are exceptional choices for patio spaces. You can add personality to your patio with the right sectional sofa design. Make sure that the sofa is made of top quality materials that are resistant to various weather conditions in order to ensure their longevity for years. For a good sectional sofa you have to consider the comfort it will provide. Choose the one that offers comfortable seats and backs while allowing you easy cleaning. In any case, we hope that our collection of sectional sofa designs has given you inspirational and useful ideas for your home.